In our daily lives, we use energy for different purposes while energy prices keep going up. We use natural gas and electricity for almost everything, especially household appliances. We consume more energy every moment. Further, a lot of energy is used for cooling and heating appliances. 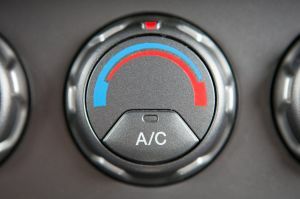 It is a known fact that almost 40% of your energy bills are due to the heating and cooling equipment. In addition, the carbon dioxide emitted is over 150 million tons per year in the United States alone. Therefore, it is very important to choose a heating and cooling system which saves money and also reduces emissions of carbon dioxide. It does not matter what kind of ventilation, heating or cooling system you use. You can save on your energy prices while increasing the comfort level by properly maintaining the equipment. Energy efficient equipment is one of the biggest factors that can save money you spent on utility bills with your gas company. If you combine appliances which are energy efficient with other techniques like insulating your home, weatherizing, right thermostat settings, then you can save thousands of dollars annually. Below mentioned are some of the tips for using heating and cooling equipment efficiently to help you save on natural gas. In winter, always choose thermostat levels which are comfortably low (e.g., 68 degrees when you are awake and even lower while you are sleeping). Alternatively, in summer, set your thermostat to the highest comfortable level. if you use radiators, in order to release trapped air, ‘bleed’ the hot-water radiators at least once in winter time. This will help the radiators to give maximum efficiency. If you are not aware how it is done, call a professional. During winter, leave your shades open so that warm sunlight enters your home. Also, shut them down at night for trapping the heat. Ensure that the air conditioners contain SEER (Seasonal Energy Efficiency Ratio). They should have at least 14 or more SEER rating. Always check whether the rugs and furniture are far from the heating vents. If there is any leak, seal them. If the heating vents are blocked by furniture and rugs, then although the furnace will push heated air, it will not reach all parts of the room. In order to reduce the cost of heating, you can go to bed early in winters. If you go to bed early, you can lower the temperature of the heater. This will save energy. Ensure that the exterior doors are closed when you turn on the furnace during winters. If you keep doors open, then all the heat will go outside. This will result in energy loss. If you have any unused rooms, then close them so that the heat will remain only in the rooms you require. The above mentioned energy saving tips are the some of the best tips for saving on energy prices while ensuring a comfortable life. Don’t forget to leave your comments below and tell you friends on Facebook. Remember, you can pick up our FREE report located at the top right corner of the page where you’ll learn m 7 powerful insider secrets from so you can save more money on your energy prices.